Anand Nature Care Naturopathey Upchar Kendra - Service Provider of acupressure service, yoga treatment services & counceling in Surat, Gujarat. Acupressure is the science of nature, which teaches us how to cure the disease by our own natural healing power or in built mechanism of the body. 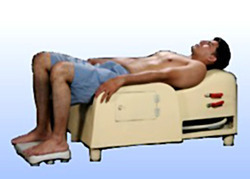 It can also be termed as the process of curing oneself by his own electric current “chetna” present in the body. Acupressure is an ancient therapy. Acupressure and acupuncture first originated in India. Then later Buddhist monk took it to other countries and spread it to China, Egypt and other parts of Asia. Doctors around the world have echoed that Hatha yoga can relieve a number of potential life threatening diseases like arthritis, arteriosclerosis, chronic fatigue, AIDS, diabetes, asthma, obesity etc. Daily yoga is considered to be higher than mere performing of exercises. 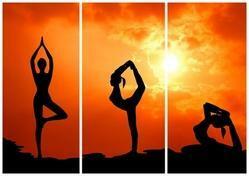 Yoga helps one to establish integrity among his outer self as well as his inner. If the postures are done correctly then yoga breeds a positive effect both in the inner and outer selves of an individual. Exercises like walking, jogging, cycling, swimming, biking can only look after the physical development of the body, whereas, yoga brings peace of mind, refreshes the body, releases stress, brings in good health, relaxation and happiness. Stress is caused more by the perception of a situation by an individual rather than the situation itself. 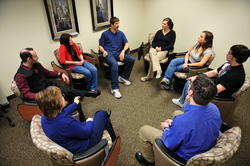 Psychological counseling helps build positive mental attitudes and thus relieves stress and enhances healing. At our Centre, an experienced counselor helps health-seekers solve their problems. Most diseases are caused by an imbalanced diet or wrong dietary habits and hence dietary modification is one of the most important parts of therapy in nature cure. Health-seekers are prescribed specific diet programs including juice diet, fruit diet, raw diet, or specific diet depending on their medical conditions. Special care is taken to serve hygienic, fresh and healthy food preparations at the Centre. The Centre makes extra efforts to procure organically grown vegetables, fruits, grains and other food articles. Fasting is voluntary abstinence from food and not abstinence from all the essentials of life. It should not be confused with starvation. Fasting is constructive, while starvation is destructive. Fasting is the best natural way to give rest to the physiological systems of the body and thereby provides an excellent opportunity to cleanse and repair the system. It helps concentrate the vital energy in order to detoxify the body. 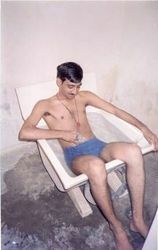 The name 'Kati' bath itself suggests that this is the art of bathing the waist. It helps eradicate problems like irregular periods, piles, pain along the waist, diabetes, and sciatica. The sort of Water Excercises that are gaining popularity in the western countries now-a-days, have their roots in the principles of Katizbaths. People are made to excercise, first in cold, then hot and then, in cold water again. This treatment is to bring changes in the nervous systems through the activation of the spinal card. It is useful in the treatment of Br. Asthma, Back aches, Hypertension, Depression, Headache, Insomnia, Neurological Problems, Paralysis etc. 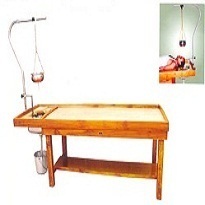 The latest development in the procedure of spinal bath is spinal spray bath. In this the water is made to hit the spinal column with pressure, which stimulates the spinal cord as well as all the nerves emerging from the spinal cord. Mud therapy is useful in headache, body pains, constipation, gastroenteritis, diarrhea, piles, stomach ache, irregularity in menstruation, leucoderma, burns, wounds, burning soles and palms. It is very useful in pimples, boils, spots, patches and constipation. It reduces the temperature, cleans the skin tissue and improves the complexion of the face or body wherever applied. • Cooling of the affected part: the cooling effect of a mud pack is much greater than that of a wet water pack, it reduces the body temperature and is useful in high fever. • Absorption of toxins: mud has a wonderful and unique property of absorbing the toxins from the body. • Reduction of swelling: a clay pack reduces the swelling of any part of the body. • Relaxation of tension: A clay pack reduces tension of the muscles and soothes over-stimulated nerves. A steam bath is defined as an ancient type of bath which was made popular and used first in ancient Greece and Rome. The origins of this steam bath started from the Roman bath. Ancient Roman baths became an important part of many communities and social gatherings in the Roman society. Everyone in the Romanempire used these public baths, whatever is his socioeconomic standing. The Roman baths were basically working through natural hot springs that come from beneath the earth. Today, there are still some natural steam baths which often utilize similar process which the Romans did use. It contains particular pipes and pumps that bring water up and towards the large pool portion. In most case, heaters are also now included in these steam baths in order to maintain the warm temperatures in the baths.